Victoria texted me and said, "I want all my birthday cakes from you! ", after the LV cake I made her last year. The two of us kept our promises and the result was amazing! Victoria loves fashion and it shows in her taste in cakes. 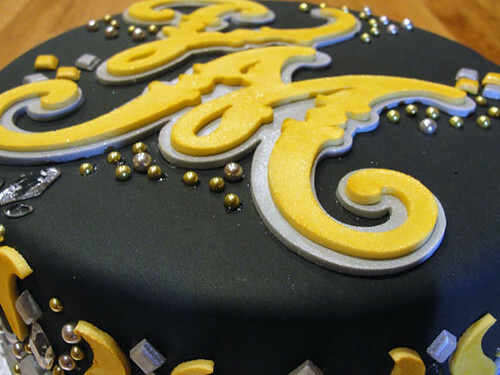 What could be more fun than a Balmain cake inspired by the latest runway shows. I could only describe it as "rocker chic" with tons of glass, silver, gold, and studs set against a black or pale background. Victoria emailed me her favorite pieces, and I drew elements from the ones I liked the most. I knew this cake was going to labor intensive with all the small details, so I had to plan my time accordingly. As I baked the two 10" green tea cakes in the oven, I began on my silver and gold studdings. Using a candy mold, I formed hundreds of small fondant diamonds in a pale yellow and light gray. The light colors act as a base for the luster dust and creates a vibrant metallic color. The easiest way to cover all these pieces is to place them into a sandwich bag, and pour in a little gold or silver luster dust. Remember, a little goes a long way! Give it a good shake to cover all the pieces evenly. If the color isn't as vibrant as you want, add more luster dust and give it another round. I felt that the hard lines of the diamond shapes needed to be balanced out with some soft and simple lines. Taking inspiration from one of the pictures, I cut out some motifs and dusted them in luster dust to keep with the color palette. Flash forward a bit and my cake is baked, cooled, torted, and filled with raspberry! I crumb coated the entire cake with a raspberry buttercream, and then smoothed on a blanket of black colored fondant as my backdrop. The dark contrast will make the gold and silver pop! 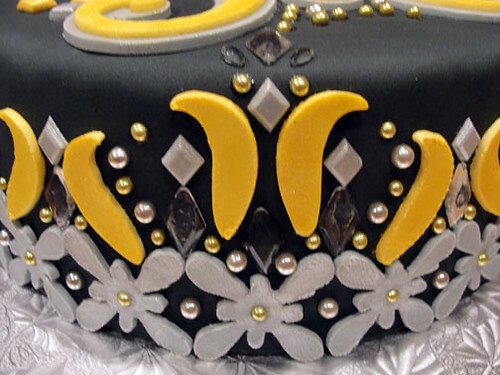 Starting with the bottom edge of the cake, I attached the silver fondant motifs and work my way around the cake. I usually use a string and measure around my cakes to make sure I have the right amount of spacing and pieces to go all the way around. Dividing that the length helps me figure out the sizes of my decorations too! 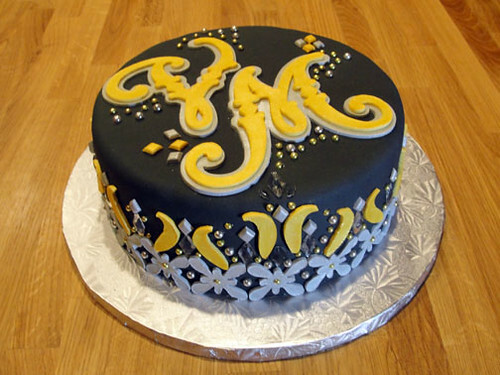 Once the bottom row of motifs were attached, I worked my way up and around the cake with alternating fondant and sugar pieces. Gold and silver sugar dragees add an extra metallic pop. The top of the cake also needed some special treatment for the birthday girl. I designed monogram of Victoria's initials and cut them out on a personal cutter, a larger one covered in silver lust dust and the smaller one in gold. These created a elegant and bold effect, but the accents of sugar diamonds and dragees brought it all together. 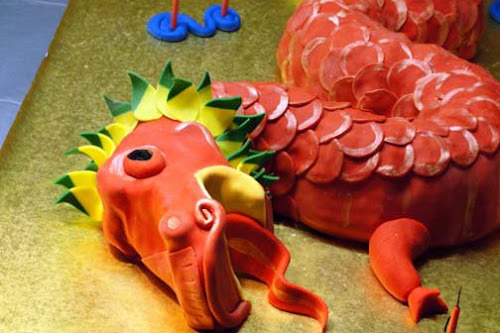 The final cake could have cat-walked its way onto any plate. I love all the beautiful details! Nice work as always! WA...not sure if we're facebook friends. 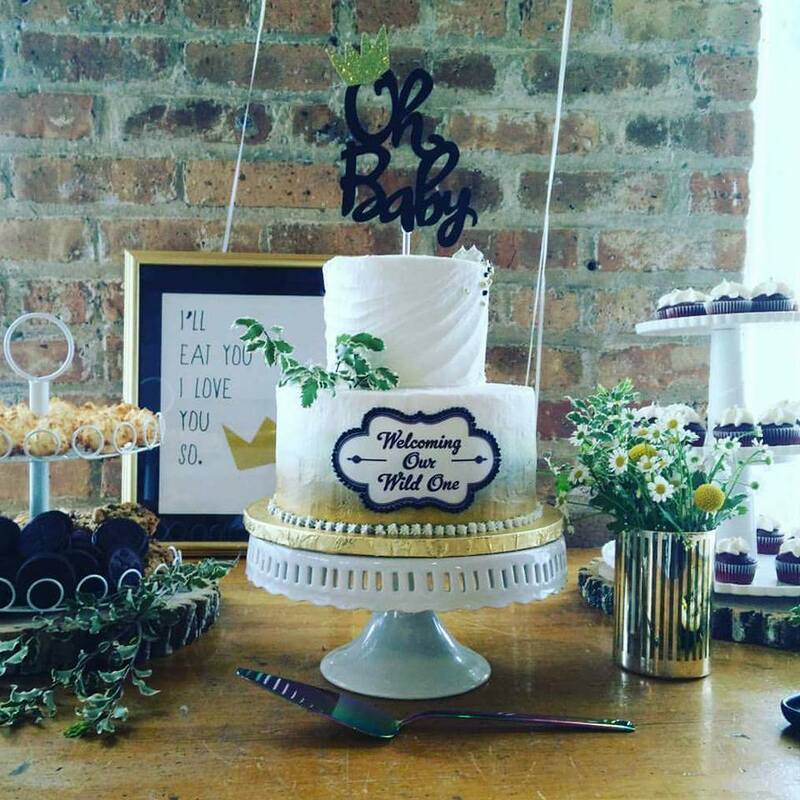 In any case, I just wanted to let you know how much I appreciated the baby shower cake you made for me and all the cake pops! The cake was absolutely gorgeous and delicious and the DUCKIE on top of the cake was SOOOOOOOO cute! You have truly made my shower very special and I loved it. Thank you!! !